Today we will plan a visit to Norbulingka first in the morning. Norbulingka used to be the summer palace of Dalai Lama. 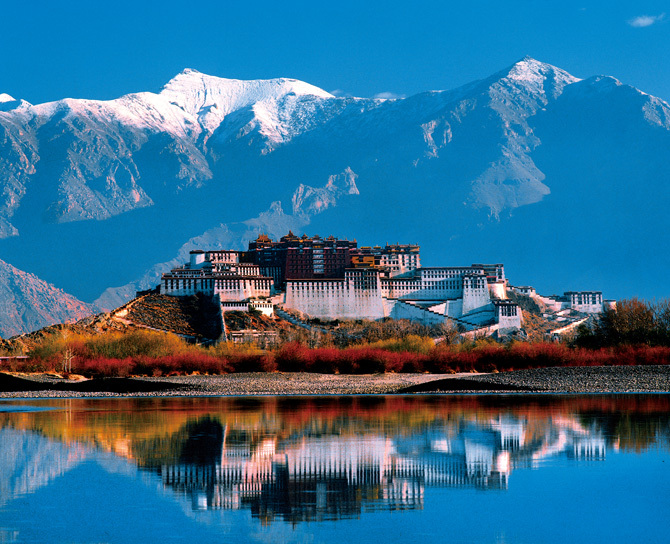 It is the largest garden in Tibet and has been the historic ensemble of Potala Palace. There are exquisite historical collections including Italian chandeliers, Ajanta frescos, and Tibetan carpets. The lake with various kinds of plants and flowers will enlighten your day. Then we will drive to Drepung Monastery located at the foot of Mount Gephel, 5 km from the western Lhasa city. As an important Gelug Monastery, Drepung has played a vital role in passing on Gelug Sect teaching and traditions. Every Sho Dun festival, there will display the Giant Buddha and thousands of local people and travelers come to witness the breathtaking moment. 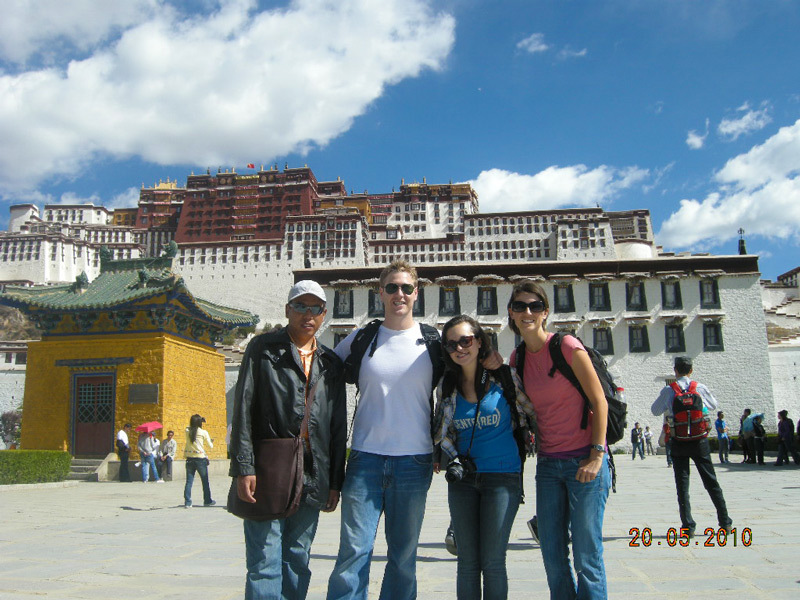 After visiting Drepung Monastery, we will head to Sera Monastery which is also an important Gelug Monastery in Tibet. The most impressive part of Sera Monastery is the debating among monks. It will start from 3 pm Monday to Friday. From this day, we begin the tour to Yamdrok Lake. 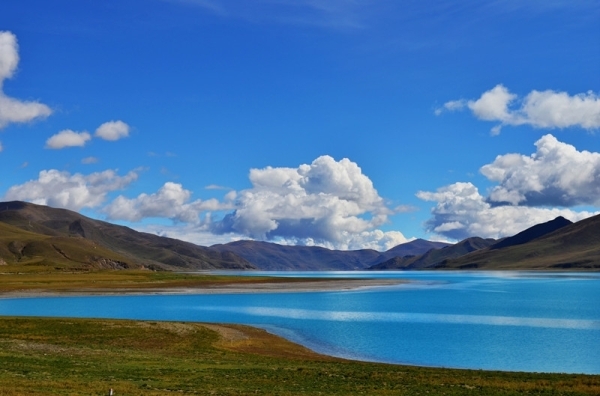 After breakfast, we drive from Lhasa to Zhanang County for about one and a half hour. Along the way, you can see Yarlung Tsangpo River. Zhanang County is famous for Zhatang Temple with exquisite frescos in it. The temple has a history of more than one thousand years. 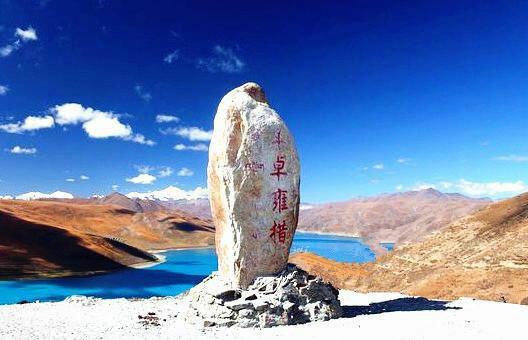 It was built by Dasrkpa Ngonshe, who was one of the 12 saints in Zhanang County, in the 11th century. The temple is lesser known but the frescos have a high esthetic value of arts and attracts visitors to come. After visiting the temple, we will continue our drive to Chedishol. However, the road condition will be a bit challenging after Chedishol and we will drive on a dusty road for about 25 km. Finally we will reach Langthang Dewachen, the starting point for the next day’s trekking. Today is the first day of our trekking. First we trek along Kangon and Jiekang villages for about half an hour after breakfast. Then we will go across a small bridge and go through a small gorge until we reach the herders camp. Start from the camp, we continue to turn left in the valley and head toward the Eagle Nest. After a lunch at Eagle Nest, we will continue to trek steep up in the valley. Along the way, you can see a variety of animals including blue ship, snow chicken, foxes and wolves. Also, since it is a rocky trail, you can collect some rocks and make rock piles like Mani Stone. It is a funny game to compete with other trekkers to see who build the tallest rock pile. The winner can win some presents. 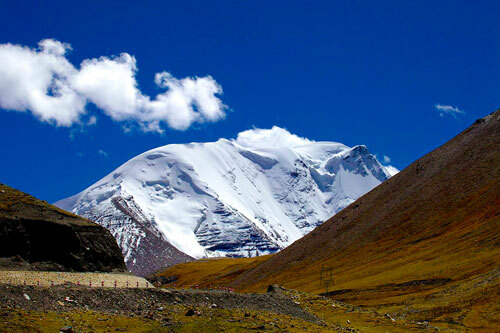 The final destination for today is Lhamachen with an altitude of 4,800 meters. You can adjust the pace according to your physical situation. Normally the whole trek will take about 6 hours. After a good rest, today will be the second day of the trek and we will get to Yamdrok Lake at last. 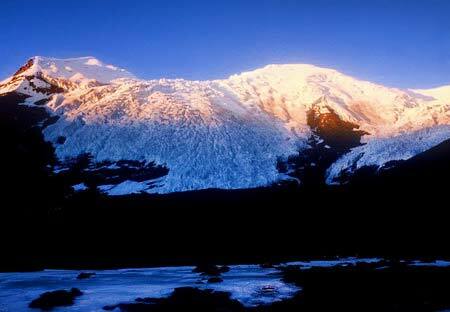 After the breakfast, we continue by ascending to the Jeshul La Pass (5,000 meters) for about 3 hours trek. 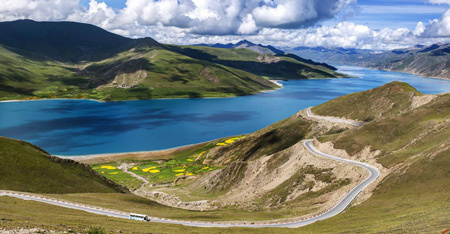 From the top, you can see the amazing view of Yamdrok Lake and Kurla Gangri Mountain located between the boarder of Tibet and Bhutan. Then we will go down to the herders camp and have lunch there. After the lunch, we will continue trekking for another one hour until we reach Kangru Monastery, a small but ancient monastery on the way to Yamdrok Lake. There are only 13 monks and 10 nuns in the monastery and the chatting experience with them is very impressive. 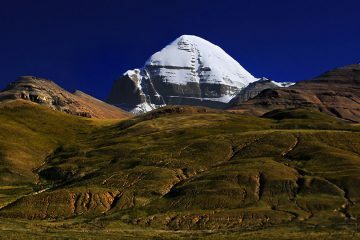 The trek will lead you beautiful villages in Kangru and Kangmar. Villagers there lead a very simple and old life style and you have the chance to know the traditional life of Tibetans. 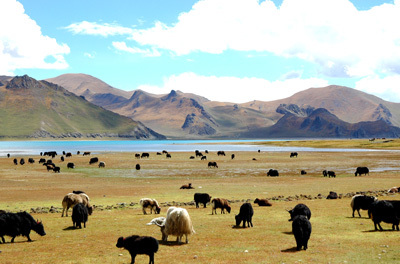 Our campsite will be set on the huge grassland around Yamdrok Lake, where many horses, yaks and sheep graze on. You can take a closer look at the wild animals and enjoy the natural beauty with easy minds. Today will finish the Yamdrok Lake trekking and start our new driving toward Gyantse, a newly tourism city with old town and Pelkor Chode Monastery, Kumbum Stupa and Dzong fortress. 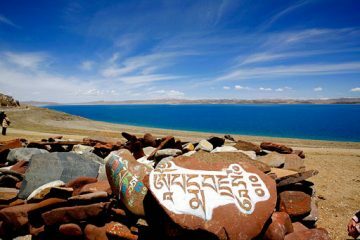 Along the way, you will visit Taglung Monastery in Taglung Town and Ralung Monastery in the south of Karola Glacier. Taglung Town is a marketing town between Gyantse and Lhoka City. At summer, it holds trade fairs attended by Tibetan local merchants and Bhutanese merchants. Taglung Monastery is the branch monastery of Dorje Drak, the famous Nyingmapa monastery in Tibet. There is a huge Guru Rinpoche’s statue standing in the main hall and decorated with many beautiful wall paintings from 15th century. Ralung Monastery is the seat for Drukpa Kagyu. It was first built by Tsangpa Gyare (the first Gyalwang Drukpa, who is the disciple of the founder of Drukpa Kagyu) in the 12th century. After visiting the monasteries, we continue the drive to Gyantse and will see Karola Glacier (5,020 meters) and NojingKangsang glacier along the way. Gyantse has so many things to explore. This day we will visit Pelkhor Monastery, which is built from 1427 to 1437. Pelkhor Monastery consists stupas, zhacangs, and temples. The most famous stupa is Kumbum stupa which has 5 storeys in the base and a total 9 tiers at the height of 40 meters with 180 gates and 76 chapels. It is also called “Ten Thousand Buddha Pagoda” for it has numerous Buddha statues, sculptures and frescos. 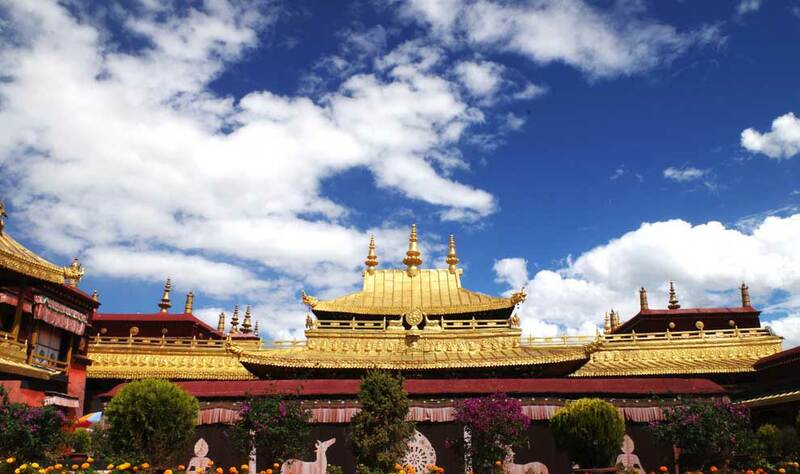 Pelkhor Monastery is the only religious art museum in China combining architectures, paintings and sculptures and shared by three Tibetan Buddhist Sect Kadampa, Gelugpa and Sakyapa. After visiting Pelkhor Monastery, you can walk around Gyantse Old Town and we will drive to Shigatse then for about 1.5 hours. 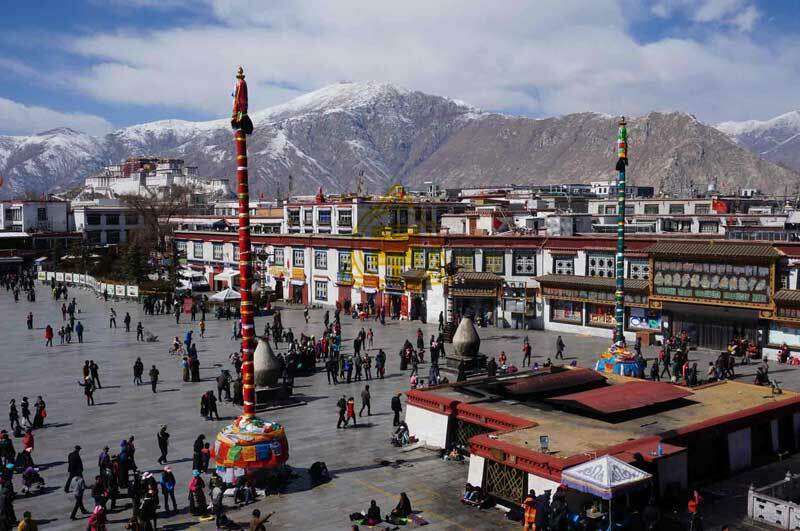 Shigatse is the second largest city in Tibet and we will visit the famous Tashilhunpo Monastery located on the slope of Nyima Mountain, very close to the city. The monastery is founded by the 1st Dalai Lama, the eighth disciple of Tsong Khapa (the founder of Gelugpa Sect in Tibetan Buddhism). Since 1600, the monastery has become the seat of successive Panchen Lamas because the 4th Panchen became the 16th seat of the monastery. Tashilhunpo Monastery has the world’s largest statue of Future Buddha, Maitreya. From the 14th to 16th day in the fifth month of Tibetan Calendar, the monastery will hold Buhhda Unfolding Festival and display Amitayus, Sakyamuni and Maitreya Buddha representing the past, present and future Buddha day by day on the display platform, which is the only Buddha display platform in all Gelugpa monasteries. 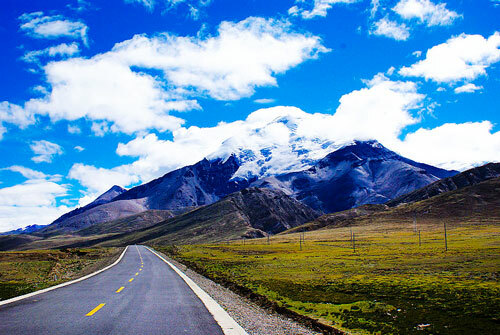 When finishing the visit, we will drive back to Lhasa for about 5-6 hours. After the long tour, it is time to leave Tibet. 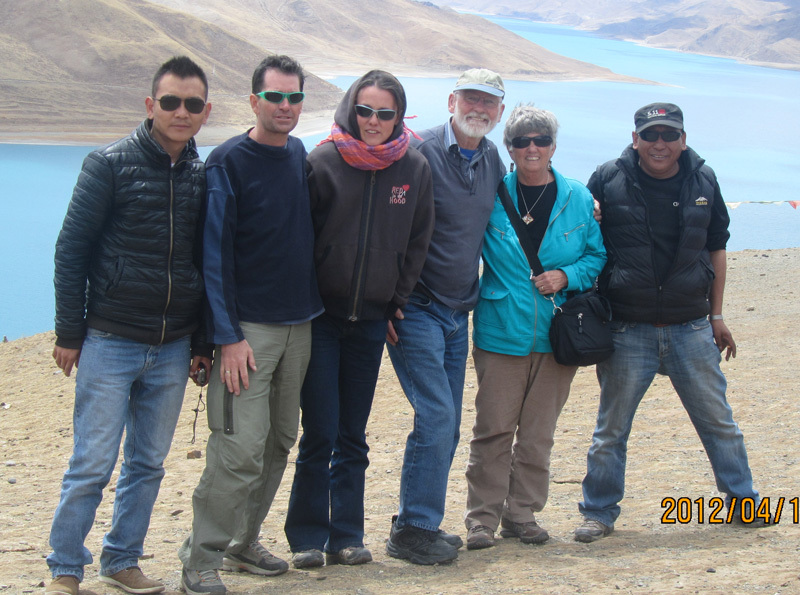 Our local tour guide and driver will transfer you to Lhasa Gonggar Airport or the Lhasa train station. 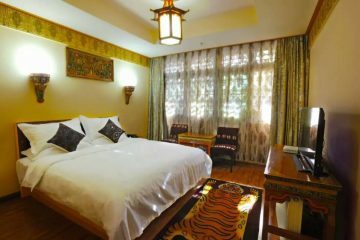 We are happy to welcome you again for your next Tibetan trip. We hope you have a beautiful and unforgettable tour memory with us.